A nice golden beer, slightly lively. 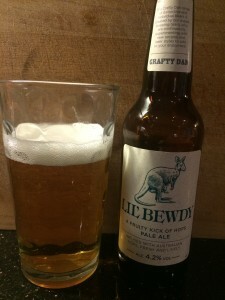 Has a nice hoppy fruity taste, definitely drinkable, but not HUGE on flavours. I’d say a upper level session ale. Probably would drink again.